Travelling to new places is a wonderful bonding opportunity for parents and children and a terrific educational experience. We have previously written about the power of experiential learning and family vacations are a natural extension of that. 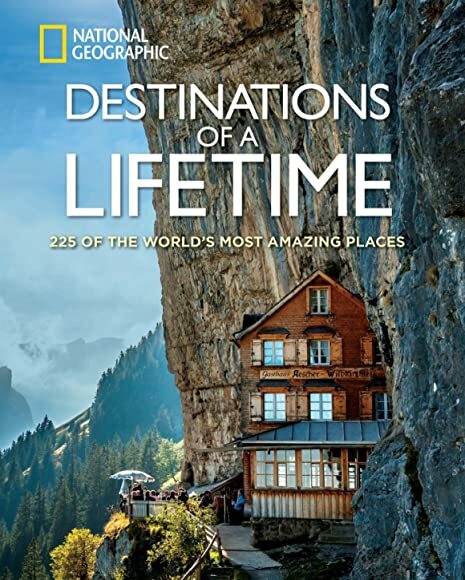 In today’s guest post by Emma Johnson, she shares some dream destinations you can plan with your family. Emma is a full-time teacher, mother, driver of children, cooker of dinner, washer of laundry, sayer of bad words, and hockey mom extraordinaire. She is not afraid to speak her mind, even if that means dropping a few old-fashioned hashtags, $#!&. In her free time – like that exists – she blogs in order to vent the frustration that comes with raising three kids. Her mantra, blogging, and swearing are better than a drinking problem. Are you planning a vacation with your family? Science suggest that vacation is necessary for the development of each individual. Taking some time off from school, work and everyday routine and immersing yourself in new places with new culture, food, and tradition learn from is something that your kids will forever treasure. So, you’ve been tightening your belt and saving every penny that you can for the past years just because you want to give them the ultimate vacation that they can’t forget. You want to make sure that this vacation is a dream come true for them. If you and your family want a picturesque vacation destination, Iceland is the place to go. This beautiful country is an epitome of contrast, from rivers running through their desserts to fire erupting from ice. You can start off with one of the most famous tourist spot in Iceland, the Blue Lagoon. It is located on the Reykjanes peninsula, close to the international airport in Keflavik and only forty minutes’ drive from the capital. This place is an enchantment and mystery, with its milky blue water surrounded by lava. Indulge in their luxury spa treatment and dine in their restaurant afterwards. Your family can also take a dip in Seljavallalaug, a unique geothermal pool which is built in a wet hillside, located at the foot of a mountain. Thingvellir National Park brims with cultural, historical and geological importance. 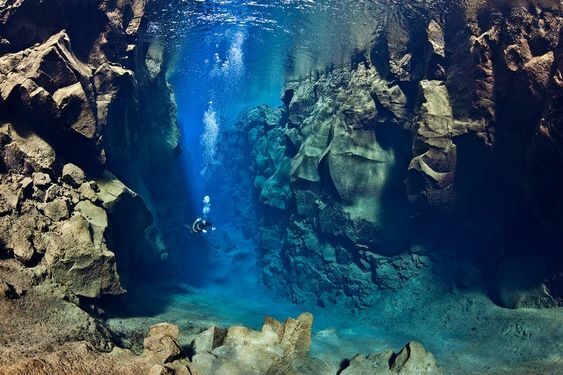 It’s the largest natural lake in Iceland and an ultimate secret diving place. Live your ultimate beach vacation in this magnificent place filled with pristine, turquoise water and beaches. Do you have a family member who’s an avid fan of diving? Or maybe thinking of learning this hobby? Book your next trip at a family resort. The island offers a diving-experience you will never forget. Have your kids experience whale watching on Salt Cay. They will be amazed at the great shows of splashing tails and fins, with the majestic view of Salt Cay in the backdrop. Mingle with some tourists and locals at T & C Fish Fry and have a taste of their local culture and satisfy your cravings for various seafoods. According to the New York Times, you will be more productive if you take more time to relax. Vacation getaways nowadays are no longer limited to beaches and theme parks. More people are opting to have trips filled with adventures and fun. Satisfy your family’s craving for fun and adventure by going to Machu Picchu, now considered to be one of the seven wonders of the world. Marvel at the Manuel Chavez Ballon Museum, one of the must-see attractions of the country. 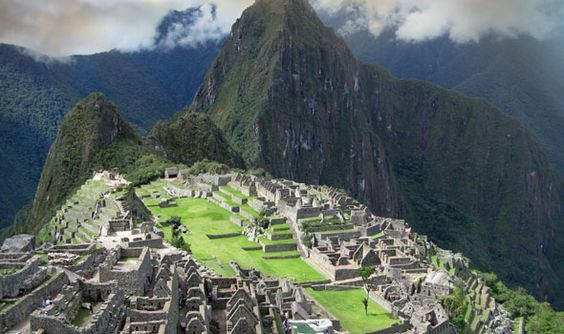 Learn about the history of Machu Picchu and let your kids enjoy the interesting artefacts while learning. If adventure is what your seeking for, get your dose of adrenaline rush at the Cola de Mono Zipline in Santa Teresa. Scream your lungs out as you zip line across the gushing Sacsara river. Then recover your tired body by heading to their thermal baths in town. Your family can also join the 10-day REI Adventures tour for a full-packed vacation get-away. The tour starts from Cusco to see the ancient Inca site and other Peruvian cities. You will be taught how to repair trails, restore some archaeological finds and clear invasive plants as you go along the way. While learning culture and history, your eyes will be amazed with magnificent sights. Have you ever dreamed of living a cowboy life? Wouldn’t it be nice to watch the sunrise over the mountain while saddled to your horse? Isn’t it lovely to end your day over some campfire with your fellow cowboys while drinking your favorite beer and strumming your guitar? Make this cowboy dream into a reality by visiting Mill Creek Ranch at Old Cow Town. 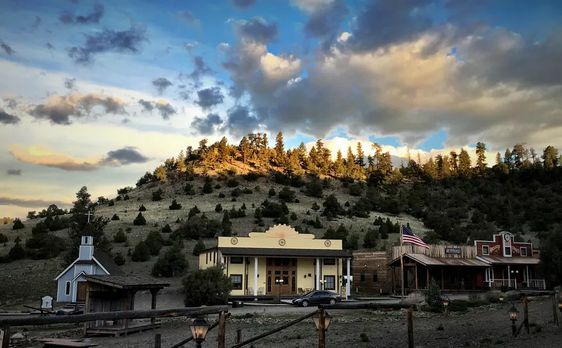 This guest ranch with an Old West feel is tucked into beautiful San Luis Valley, just west of Saguache, Colorado, and about a four-hour drive from Denver. Experience the cowboy life you’ve only seen in movies. Spend your day with trying your hands on horseshoes, archery and mini-golf. Head back to Mad Cow Saloon at night and have a sumptuous dinner with hand-cut steaks or tender beef brisket. A dessert of apple crumb cobbler to cap the dinner off. The next day, you can have the ultimate spa experience by soaking your tired cowboy feet at Joyful Journey Hot Springs. Experience not just horseback riding but also cowboy chores at the Zapata ranch. Instead of giving your kids toys or other material things, create a travel fund instead. Going on a vacation with your kids will foster stronger family ties and creates lasting beautiful memories. If you’re having trouble deciding on where to go – get the kids involved as much as you can. This is supposed to be a family-oriented vacation, so you want to choose a destination where everyone can have fun and relax. 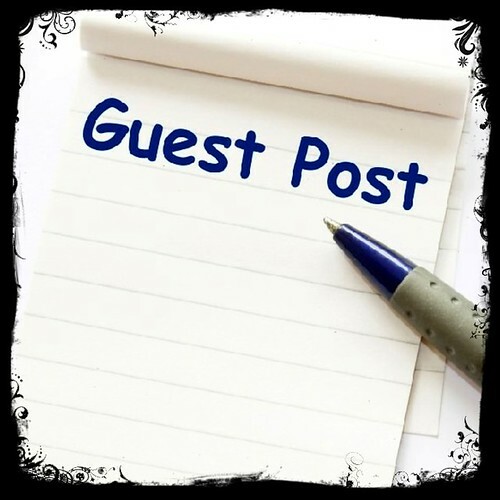 The following article is a guest post from Jessica Freeman. Jessica Freeman is a blogger and freelance writer from Sydney, Australia. She enjoys covering various topics, from education and technology to motivation and productivity. She also has her own blog where she presents top writing tips. Follow Jessica on Google+ and Twitter. The Internet: all bad? Or a potential source of education for our kids? Open the door to your teenager’s bedroom at any given moment, and chances are you’ll find them lying on the bed, on their phone or laptop, their two thumbs working systematically like mechanical typewriter keys. Facebook, Instagram, Twitter, Snapchat – just a few of the social media platforms modern kids engage in every day. And not just for a few minutes a day. According to a large-scale study conducted by Common Sense Media, a US “nonprofit focused on helping children, parents and educators navigate the world of media and technology,” young people spend – wait for it -nine hours a day using media for their enjoyment. The study explored how kids aged 8 to 18 in the U.S. use media, studying their level of enjoyment, frequency of use, and amount of time they devote to a wide array of media activities and devices. Australia is no different. A similar study, Aussie teens online, released by the Australian Communications and Media Authority (the ACMA) shows that at June 2015, over 935,000 teens (82% of all teens) had gone online in the previous four weeks. We’re all online! But is this worse for our teens? Is this constant use of the Internet somehow worse for our children, than it is for adults? And what are our responsibilities regarding our children’s Internet use for us as parents trying to raise “successful children”? To be clear, by success we mean kids who grow up to have meaningful lives, are independent, emotionally stable, have good morals and healthy relationships. Does children’s frequent use of social media threaten this, or can it be a good thing? Many parents’ knee-jerk reaction is that any time spent on social media is inherently bad. One of our biggest fears is that our children hook up with strangers who then groom them for sexual encounters or abuse. Another is cyberbullying: that our children will be victimized online by other children, on a worldwide viral stage. While there are certainly possibilities that these terrible things might happen, it is actually very rare. More often the abuser is someone we know (a family friend or a caretaker) than the “monster behind the modem”. And if truth be told, it is ironic that despite many parents being super concerned about online grooming, cyberbullying and the like, research shows that many of ushave no idea what our children are actually doing online. We just feel fearful that what whatever it is might get them into trouble. But we are not actually engaged in their worlds. So, what are our teens doing online? So, what are our teens doing online? The figure below shows Online activities undertaken by teen Internet users between June 2011 and June 2015. 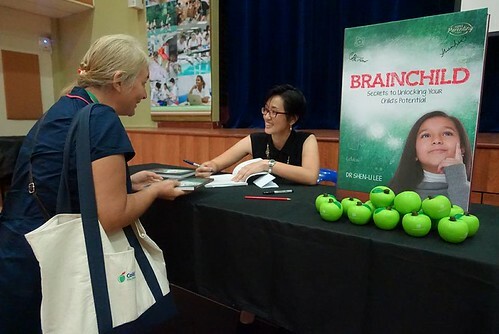 It is taken from the study, Aussie teens online, also done by AMAC. It shows that while young people do spend a lot of time their time on entertainment and communication, they also spend time on general researching and browsing. If we break this down further, as the figure below does, we see that teens are on the Internet for career research and news and information. This is important information for us. 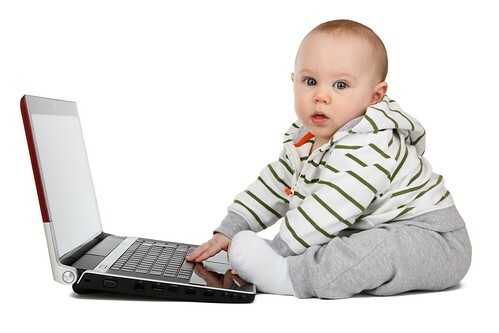 It illustrates that it’s not all fun and games for children on the Internet: they are using it for life skills uses too. And it’s no good for us as parents to wish it away. It’s here to stay, and let’s face it, it’s as much a part of our lives as adults too! Let’s focus on the positive uses of the Internet. Here are some pointers to encourage healthy Internet use for your kids. These suggestions are ways that you can get involved in a part of your teen’s Internet life, doing things online together that are mutually rewarding. Our teens are already using the Internet to do research. They want information, and they use the Internet to get it. Encourage them to use online sources of information such as Wikipedia. Help them to find resources that they need while at school, or for after school. For example, if your child has done all the background work for a project, but is struggling to present it on paper, they could look at a resource such as AustralianWritings to help present a polished piece of work, which may help them getter better marks. Or spend time with your children looking at shaping their future lives on sites such as My Future. Perhaps your child wants to take a gap year. You may agree that it’s a good idea. This site has options for doing so: Adzuna. Opening your mind to the Internet as a positive resource can help determine the path of your child’s life. That’s the good. And remember, some of us adults are online too, in potentially dangerous situations, looking for love! It’s not just the kids…. Tech Time Discussion: Has the Digital Age Taken my Child Hostage? If you have an android and you’re looking for some fun, educational apps for your child, this guest post from Daniel Lewis recommends 6 apps for children with androids. The article is contributed by a lifelong gamer Daniel Lewis. He has written several articles on gaming and technology. At his free time he enjoys playing craziest games and his favourite site to play games is Train Games 365. An android-running device can be the perfect digital platform for a kid – the devices are easy to use, and there are a lot of games and apps to choose from. Be that as it may, it is exactly the large number of games and apps to choose from that can prove to be problematic, as it can be quite difficult to find the ones that are actually worth installing. If you don’t have the time and patience to go with the trial and error method, here are six apps that are totally worth trying. If there are two things that apply to pretty much any kid in this world is that they all love to draw and they all love Disney, so why not combine these two passions? Mickey’s Paint and Play! Does exactly that, allowing your kid to practice his artistic skills on various scenes from Disney. Just in case you’re wondering what’s the upside of doing this in an app instead of the classical pencil and paper approach, the answer is simple: because the pencil and paper approach is not animated; in the app, once the kid finishes drawing, the characters come to life, and start moving around, exploring the newly decorated scenery. Your kids will love it! 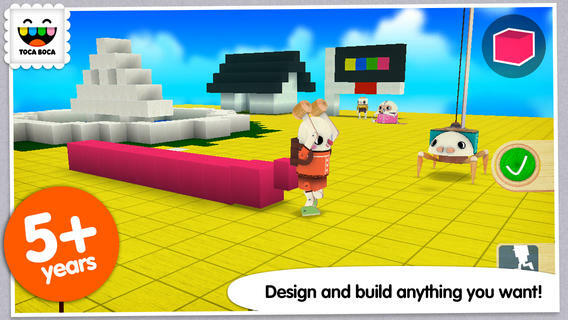 Redecorating doesn’t have to stop at drawing and painting, as proven by Toca Builders. The app is pretty much a scaled-down version of the popular retro-style game known as Minecraft, and it gives the kids the opportunity to build various things in a fun and interactive way. There are six characters to play with, each with their own special abilities, and a whole lot of building materials and options to work with, so imagination is the only actual limit as to what can be built. PBS Parents Play & Learn HD is aimed at toddlers that are still getting familiar with the basics of their surrounding world. The game is meant to introduce them to various common places and actions, teaching them about simple things such as shapes and colors. PBS Parents Play & Learn HD is meant to be played along with a parent, as the game comes with useful information for the parents that will help them better understand how their toddlers’ curiosity works, and how they can stimulate it. Looking for a way to determine if there’s a little artist within your child, waiting to be discovered? Or maybe you just want to do some finger-stretching yourself. Either way, Magic Piano by Smule might be the perfect app to get things going. As you can easily guess by the name, the app is a piano simulator packed with a lot of interesting features. It’s not all just chaotic playing – deliver a great performance and you’ll level up, unlocking more songs. There’s even social media integration, so you can share your, or your kids’, achievements online. Cut the Rope is a cute game that will have your kids giggle, and also teach them physics without them even knowing it. The game is very colorful, the main character – the Om Nom cookie monster is simply adorable and the overall gameplay is entertaining and addictive; simply put, it doesn’t get better than this. What makes the game awesome is that it has very realistic physics, being one of the easiest and most fun ways for your kids to learn about gravity. Famigo: Kids’ Educational App is a great way to make sure you’re in control over the games and apps your kids have access to. The app creates a controlled environment for the kids, keeping them away from distracting ads, or limiting access to features that are unsuitable for youngsters such as social media integration or in-app purchases. Famigo: Kids’ Educational Appis subscription-based, but with the subscription you also get access to the app’s own games database, which is update regularly, as well as to an online TV platform full of child-friendly shows. The app is a one-stop-solution if you want to make sure your kids always have new games to play, without you having to waste time scouting for them and then making sure they’re safe for your kids or not. William Delgado is a good researcher, and for the past several years, concentrated on academicals for students who require quality service to accomplish their assignments and other projects. This has helped William to be expertised in services like Essayguardian which is one of the well-known essay writing companies. Art is an important aspect of children’s development. It helps in the development of cognitive, social and motor skills of children. Classroom art and visits to museum immensely contribute to childhood development if it is combined with family engagement. Children should be allowed to create art. It will develop independent thinking and self-evaluation in them. As they grow older they will use art to express their feelings. They will also get self-satisfaction and confidence if they are permitted to use art. They will also develop social skills like taking turns, sharing and negotiating for materials. Making use of large brushes for art will improve their motor skills and control. Frequent visits to art museums will help them in highlighting their talents and in raising their self-esteem. Support from the family is extremely important for any activity of a child. It will encourage a child’s learning and help in its development. Before anyone takes a decision about including art programs for children, it is important to think about why they make such decisions. There should be strong philosophical underpinnings for the art programs that are usually introduced for children. Art programs in early childhood enable the continuous exploration of new ideas in children. It does not mean that the previous thinking pattern is completely erased. The old and new make a harmonious blend and there is a constant intellectual development in the child. There were views which considered a child to be tabula rasa or an empty vessel. This view states that children’s early art works are worthless. It further indicates that teaching art will lead the children on a path of progress towards realism and representation. A contradictory view shapes the notion of precious childhood and promotes the teaching of art to children. It will safeguard their innocence and spontaneity. By and large teaching in general is seen as the way of civilizing a child and art activities are extremely teacher-oriented. The teaching of art is seen in relation to the developmental stages of children. Good art experiences and projects should be designed to influence children’s senses and creativity. Along with developing cognitive, social and motor skills of children, art education helps in visual learning, decision making and language development. Children learn words for colors, shapes and actions. They also learn to describe what they draw. Thus they will be able to narrate well. Art education strengthens the problem solving and critical thinking skills of children. They also learn to make decisions for themselves. Nowadays children learn a lot from the graphic sources since visual aids enhance the learning process. By art education children will develop independent thinking, learn to be creative and they will even be ready to take risks. They will learn about other cultures since art is a diverse field which represents anything and everything in the world in the form of shapes and colors. Children who have had art education are reported to do better in academics as per earlier research works. 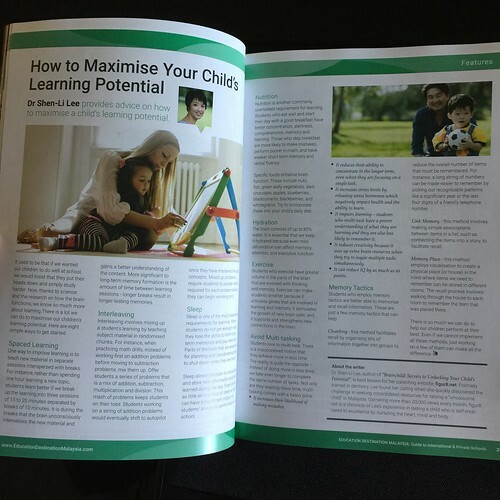 Therefore, it is an education supplement which should be given to every child in the early childhood. How Do You Nurture Creativity in Children? 1. Who is my child as a learner? Would he or she thrive in a traditional, teacher-centered structure or a more enquiry-based learning environment? Which curriculum would best suit him or her? Does he or she have special needs as a learner and require individualized attention and support? 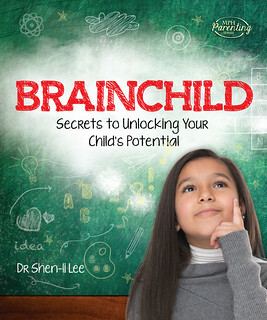 Does he or she have special talents or interests inside or beyond the classroom? 2. What are my long-term educational plans and goals for my child? What are the essential skills and abilities – specific languages, academic subjects, extra-curricular pursuits such as a sport or performing art, etc. – that you want your child to acquire? Where will your child ultimately attend college or university? 3). What are my requirements and needs as a parent? Which factors – cost, location, school size, curriculum, facilities, etc. – are most important to you? Once you have determined which of the above factors are the most important to you and your child and defined what type of school you are looking for, you can start researching the various international and private schools. Start with an online school directory to help you identify a list of potential schools (Education Destination Malaysia is a good resource site if you’re living in Malaysia). This is an excellent way to begin learning about what various schools have to offer. As you start to narrow down your options, you will also want to visit the schools’ websites to learn more. 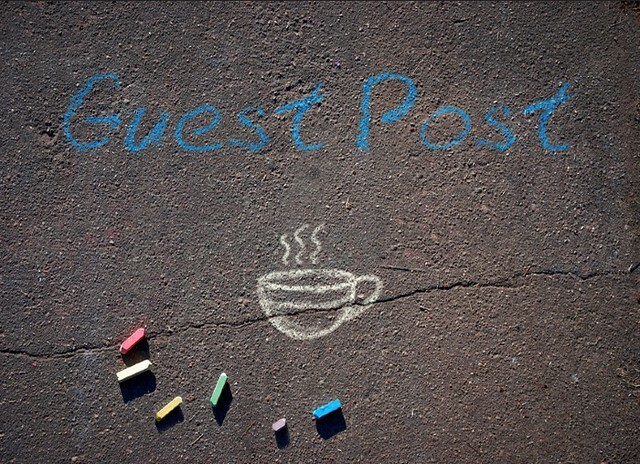 You can also try to seek out parents of students in the schools you are considering – possibly in online forums or chat groups or through community connections – to hear their experiences and get their opinions. Ultimately, you should make a shortlist of five to ten schools that meet your requirements. It is imperative that you and your child take the time to visit each and every school on your shortlist, to get an up close and personal look at what those schools have to offer. Contact the schools you’re interested in and make an appointment to visit during regular school hours. Only by actually going to a school – speaking with the principal and teachers about the school’s core values and learning methodology, observing the students in action in the classrooms, getting a guided tour of the facilities – can you get a real feel for the school’s “personality”. Visiting a school is the best way to learn about it and to decide if it is the right fit for your child. Now that you and your child have had the chance to visit and experience all of the schools on your shortlist, it’s time to make a decision. Speak in depth with your child and get his or her input about the various schools you are considering. Ultimately the school must meet most, if not all, of your needs and requirements and “feel” right – especially for your child. Choosing a school for your child is a critically important decision, one that will impact the rest of his or her life. Invest the time and energy necessary to ensure that you make the best decision possible for your child and his or her future. Visit Education Destination Malaysia for the full article by William Citrin. 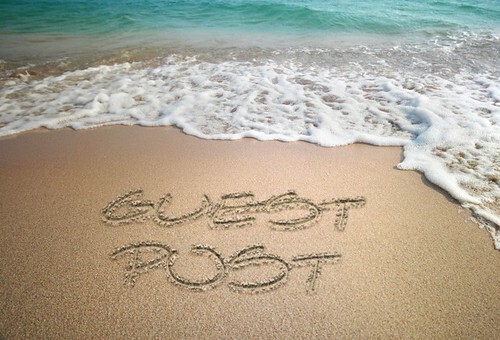 We have a guest post today. With Aristotle’s summer break just around the corner, we thought it was a rather timely article. We hope you enjoy it. Rose Williams is a freelance technology writer with a focus on how the Internet improves our lives, from online education and mobile streaming to ‘stuff’ minimizing and beyond. She holds a B.A. in Technical Communications and is currently working toward an MBA. You can contact Rose directly via email. Your child was probably ecstatic about the start of summer vacation. And for good reason: summer is a valuable time for children of any age to relax, have fun, and take a break. However, research shows that on average, children lose 2 months of math and reading skills over the summer. This lapse leaves them behind when it’s time to return to school in the fall. But summer brain drain is preventable. Below is a list of online resources that will keep your child learning throughout the summer. These websites, apps, and activities will ensure that your child’s mind stays sharp and ready for the upcoming year. To get access to all these online resources, the first thing you need is a reliable Internet connection. Fiber optic Internet is ideal for when the kids are home more often and there are multiple devices online. If you’re interested in the super-fast speed that fiber affords, it may be worthwhile to check and see if Verizon FiOS deals are available in your area. Studies show that summer learning losses are greatest in the area of mathematics. But with these resources, it’s easy – and fun – to incorporate math into your child’s summer vacation. Motion Math’s Hungry Fish transports your child into an underwater world to practice his or her mathematics skills. In Hungry Fish, children start out learning basic number values by feeding fish. Players must match fish to food with the same number – if the numbers don’t match, the fish won’t eat. As children feed their fish, the fish grow and develop new fins. And as their skills improve, children can practice addition by swiping numbers together. Motion Math’s Hungry Fish is free for iPhone, iPad, and iPod Touch. In-app purchases allow your child to explore subtraction and negative numbers. Math is Fun is a great online resource for children of any age. Simply designed and easy to navigate, MathIsFun.com allows children to practice a variety of math skills. The home screen displays an illustration with links to different topics, including numbers, money, multiplication, geometry, algebra, and measurement. Clicking on a topic will take your child to a variety of lesson plans and interactive activities at every level – the numbers link includes single-digit numbers, counting to 100, addition and subtraction, and multiplication and division. The site also offers printable worksheets, online puzzles and games, and a dictionary of math terms. MathIsFun.com provides educational activities for grades 1 through 8. Staying caught up on reading over the summer will help your child in many different subject areas when he or she returns to school. Check out these online resources for reading, writing, and language. Read Write Think, from the International Reading Association and the National Council of Teachers of English, is an extensive database of reading and writing activities for children of any age. Along with classroom activities, Read Write Think includes activities for children from kindergarten to grade 12 to do after school. Read Write Think offers phonetic exercises, vocabulary lessons, and podcasts as well as online and offline games, projects, and worksheets. Read Write Think also includes helpful tips and how-to’s for engaging your child in reading and writing – and helping them have fun while doing it. Read, from PBS Parents and PBS Kids, is a program specifically designed to enhance your child’s reading, writing, and language skills over the summer. Read by PBS includes videos that explore reading, vocabulary and language games, and a cartoon studio where children can write and illustrate their own stories. Read by PBS also offers a summer writer’s contest for kindergarten through 3rd grade, and a summer reading challenge where children can log their reading minutes to earn prizes. Read by PBS also offers resources for teachers and parents, and your child can create an account to sign in and save their favorite games and scores. 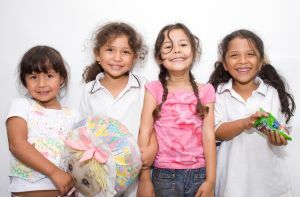 This site, from the US Department of Health and Human Services, has great tips for integrating mathematics, reading, and more into your child’s summer routine. 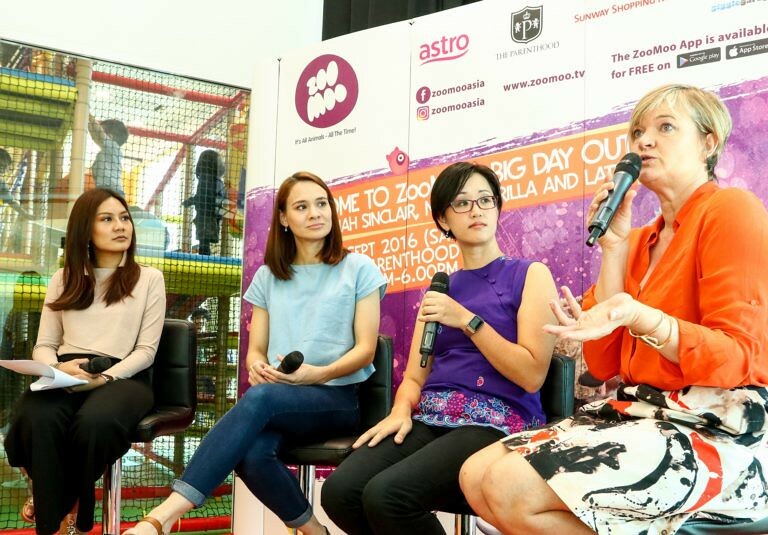 Building Blocks focuses on offline educational activities for the whole family. The site suggests creating a summer reading list, having conversations with children about what they read, and taking family trips to the library. Building Blocks also offers fun ways to engage your child in mathematics, such as counting and measuring while cooking and incorporating math around the house and in the yard. Building Blocks includes helpful information on childhood education, health, and communication for both parents and educators.